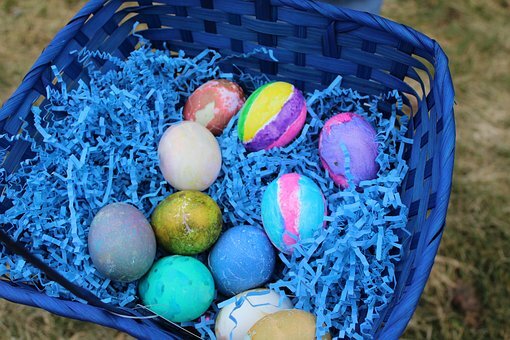 Looking for Easter Egg Hunts in Broward County? Or, How about some information on Easter Brunch? First, take a look at the information we have gathered and then make some plans for this very special holiday weekend. Who doesn’t love an Easter Egg hunt? For kids, it’s like a dream come true. 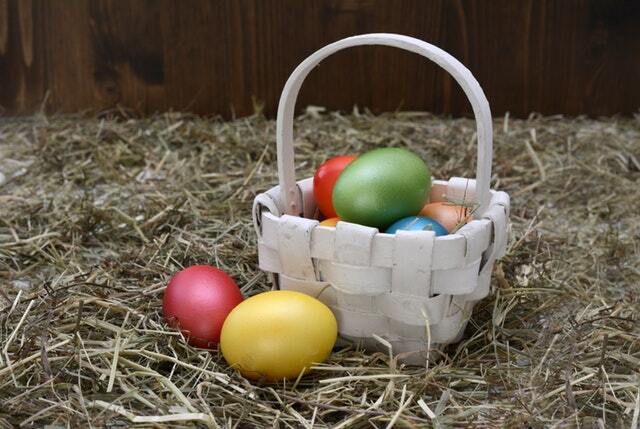 Brightly colored eggs, candy, toy and baskets….what could be better? And, as an adult, the opportunity to watch your kids gather eggs in the beautiful south Florida weather is too good to be true. (Just think, you could be in the frigid northeast, hiding eggs in your house because it is too cold to be outside!) As such, we have share some information on local hunts you may be interested in visiting. As always, if there is an Easter event that we have missed, please note it in the comments section of the blog so others can benefit! Eco Eggstravaganza: Visit Young At Art in Davie from 10:00am – 5:00pm for this eco-friendly day of celebration.There will even be an egg drop competition. Of course, admission fees apply; please visit their event page for more details. Remember, this is a great place to spend a “spring break” day! 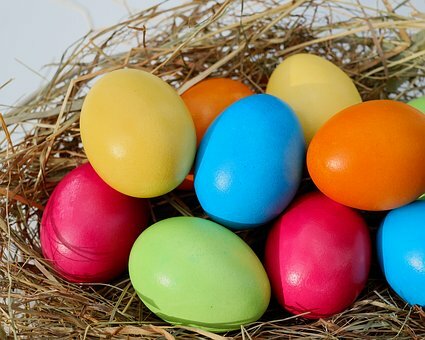 Flashlight Easter Egg Hunt: The City of Deerfield Beach is sponsoring this creative egg hunt for people of all ages (although there are time frames for specific ages, see their website for details). Constitution Park is the site of the event; thousands of eggs will be hidden. And, rumor has it that the Easter Bunny will also be there. While free for residents, there is a fee for others. As such, please visit their website for more details. And note, you may want to register in advance! Bass Pro Shop Easter Celebration: Today through April 1st you can visit Bass Pro Shops in Dania Beach, hunt for five eggs in the store (and trade them in for candy) AND have your picture taken with the Easter Bunny! Additonally, there will be be crafts and lots of fun. Click here for details! Hippity Hop Hunt: Bamford Park in Davie is the site of this Easter extravaganza. There will be an egg hunt for children under 8 in addition to a petting zoo, inflatable amusements and a visit from the Easter Bunny himself. Please, click here for additional information! Easter Egg Hunt Kayak Adventure: Blue Moon Outdoor Adventures, located at George English Park on Sunrise Boulevard, is coordinating the unique Easter egg hunt incorporating a kayak ride. Visit this website for additional information. 2018 Egg Hunt Sprint Duathlon and Triathlon: CB Smith Park is the site of this event, celebrating it’s ninth anniversary this year. What a great way to incorporate exercise into the traditional Easter festivities. In addition to the two races, there will be a host of activities for families both during and after the events, including an egg hunt. Click here for more information on what is available and how to register. Davie Ranch Easter Egg Hunt: You will need a ticket (click here to purchase) to participate in the Ranch’s 9th annual egg hunt. There will be pony rides, petting zoos and the Easter bunny. Additionally, more details are available on their website. Cooper City Annual Egg Hunt: This annual “eggstravaganza” will be held at the sports complex and is for toddlers through children in 5th grade. This year, it will feature age divided egg hunts and even a visit from Peter Cottontail. Click here to view their flyer for additional details. Pembroke Pines Egg Hunts: This year the city is hosting egg hunts at two locations and there will be over 50,000 eggs! 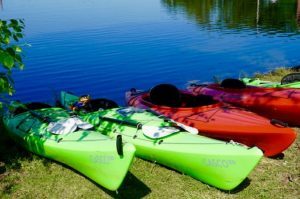 Visit either the Pines Recreation Center or Pembroke Shores Park. Stop by their event page for more details. Weston’s Annual Royal Egg Hunt: Families with children aged 10 and under should visit Weston Regional Park for a morning of egg hunting, bounce houses and a visit by the Easter Bunny! Check out their calendar for specific information. Spring Fling: Visit the community park in Pompano for this fun, spring themed festival. There will be egg hunts, music, bounce houses and more. Click here for additional information. Please note, this event is free to the public! Weston Town Center Egg Hunt: Bring your children, aged 3 to 10, to Weston Town Center for this event, sponsored by Baptist Health Urgent Care and Tiny Planet Preschool. There will be music, inflatables, face painting and more! Visit their website for additional information. No need to cook, there are so many options for a delicious Easter Brunch. What a great, low stress way to celebrate with friends and family. First, take a look at some of the fabulous ones we have found. If you know of another, share it in the comments! Shooters Waterfront Easter Egg Hunt & Buffet: This well-known restaurant is hosting a family Easter celebration. On Sunday, plan to join them for an egg hunt, hosted by the Easter Bunny himself, and a delicious brunch buffet. Details available on their website. Easter Sunday Brunch at Margaritaville: Visit this hotel in Hollywood for their spectacular Easter brunch! Dine on delicious food, a candy and dessert buffet and take a picture with the Easter Bunny. The restaurant is recommending reservations. Click here for more information. Burlock Coast Easter Brunch: Located in the Ritz Carleton on the beach in Fort Lauderdale, this is the ultimate splurge brunch. The menu is incredible and includes many special Easter treats. Visit their website to see the menu and for more information. GG’s Waterfront Bar & Grill: This restaurant’s Sunday brunch is well-regarded and always well attended! Their menu is varied; there is something for everyone. Call and try to make a reservation. Check out their menu here. NYY Steak: Located in the Seminole Casino Coconut Creek, this restaurant will be offering a special Easter Sunday brunch. The menu is diverse and there will even be a bloody mary bar. Click here for more information. 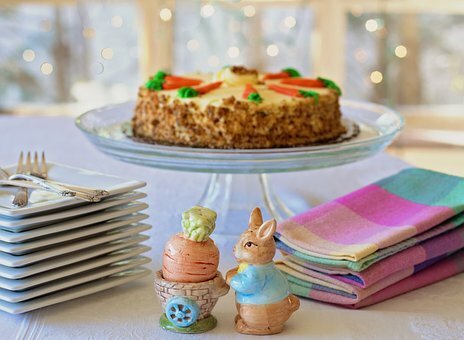 These are just some of the restaurants hosting special Easter brunches. Many restaurants in Broward are offering their regular Sunday brunch menus. Check them out online and be sure to call ahead for a reservation. Remember, Easter Sunday is a notoriously busy time; plan ahead for a enjoyable, stress-free celebration. From everyone at The Wilson Group, enjoy your holiday celebrations!